United Group’s newly hired Community Assistants were warmly welcomed to the United Group Team this month at the first ever “Community Assistant Workshop,” which was hosted at College Suites at City Station. Community Assistants play an impactful role in the day-to-day operations at United Group’s student housing communities in the Capital Region and Hudson Valley. They’re responsible for active involvement in assisting residents with residential and academic issues, implementing social and educational activities, developing a sense of community, helping maintain a comfortable living environment by providing excellent customer service, and performing various administrative and business related function as needed. 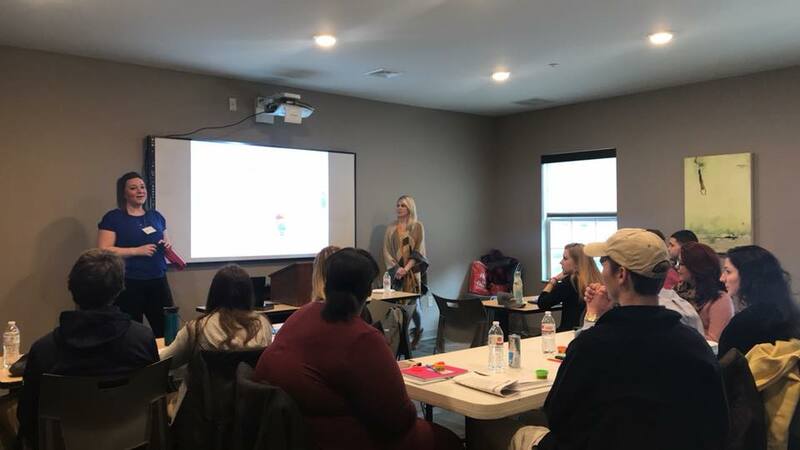 During the workshop, the newly hired Community Assistants heard valuable information from every facet of United Group, including property managers, the human resources department, the marketing department, and their regional manager. They also enjoyed exciting team building exercises, and designed flyers to promote upcoming events at their respective properties. The United Group Team is looking forward to hosting more Community Assistant Workshops in the future to help introduce student-employees to the company culture, and the exciting new expectations of their new job.